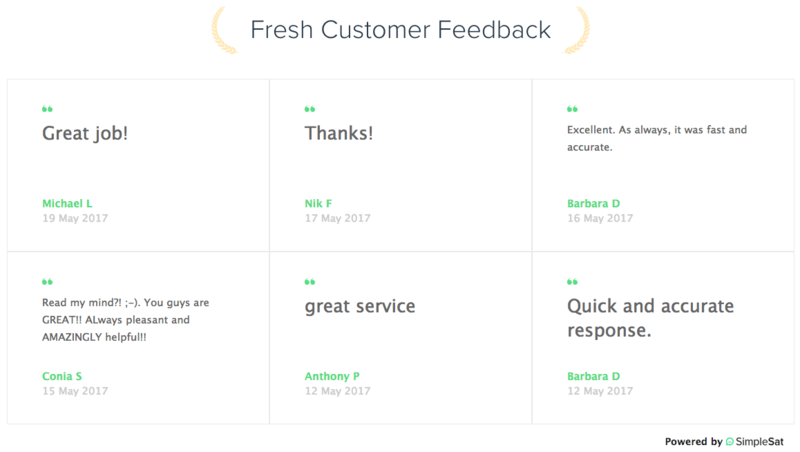 Feedback widgets are snippets of code that display customer feedback and ratings on your website. In your SimpleSat dashboard, go to to Admin > Testimonials. Choose the type of widget you'd like to use in the left hand sidebar navigation. You have the option to publish any comment as a testimonial. Go to the Feedback page in the dashboard. An orange icon means the comment is published. To un-publish, simply click the icon again to toggle on/off. 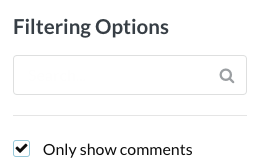 Pro Tip: Check the Only show comments filtering option to quickly get a list of publish-worthy comments!